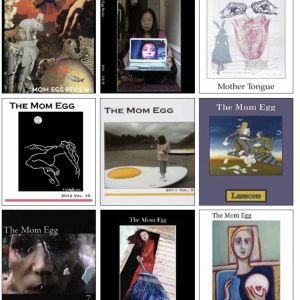 – The subject of motherhood can be tricky territory for women, in the literary as well as visual arts, where practitioners want their subject matter to transcend the personal realm and “precious” expectations that are sometimes aroused by cultural assumption. Over time we’ve seen this remarkable bond portrayed eloquently and skillfully in the paintings of Mary Cassatt, capturing the intimacy but also painterly brilliance of any great Impressionist, and in the poems of Sharon Olds and Fran Castan, whose work encompasses a complex dynamic of the self emerging and retreating in the lives of one’s children, and how we remain tangled emotionally as observers, victors, victims, and when lucky, protectors. Anne Sexton, in “Pain for a Daughter,” celebrates the rites of passage her young charge experiences, but when it comes time, in a moment of panic, physical pain, and grief, to call upon the ultimate force to save her, Sexton the mother-as-poet is astonished to learn that her daughter ‘s cry is for something beyond the human and familiar. It is a startling realization of one’s child’s realization of mortality, and the poem’s structure and carefully wrought phrasing bring a stinging sense of helplessness to the reader. when the green world awakes. That would give it all away. 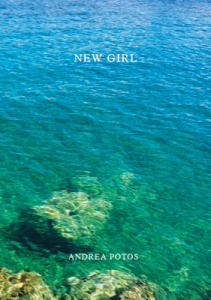 Whether revisiting the passages of her own childhood or observing the growth and self-declaration of her daughter, Andrea Potos’s poems glitter and reverberate with the wonder and rewards of motherhood in New Girl. 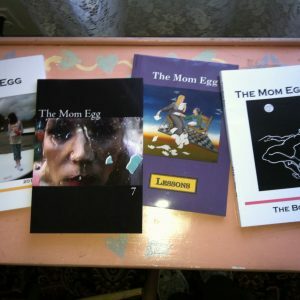 Mindy Kronenberg is an award winning poet and writer with over 400 publication credits world-wide. She teaches writing, literature, and arts subjects at SUNY Empire State College, edits Book/Mark Quarterly Review, is a staff reviewer at Weave Magazine, and is the author of Dismantling the Playground (Birnham Wood) and Images of America: Miller Place (Arcadia).